The job-hunting procedure in Japan is known to be rigorous and taxing, as it usually lasts for a year. For international students, it can be quite challenging since most Japanese companies require some level of Japanese proficiency (JLPT levels). 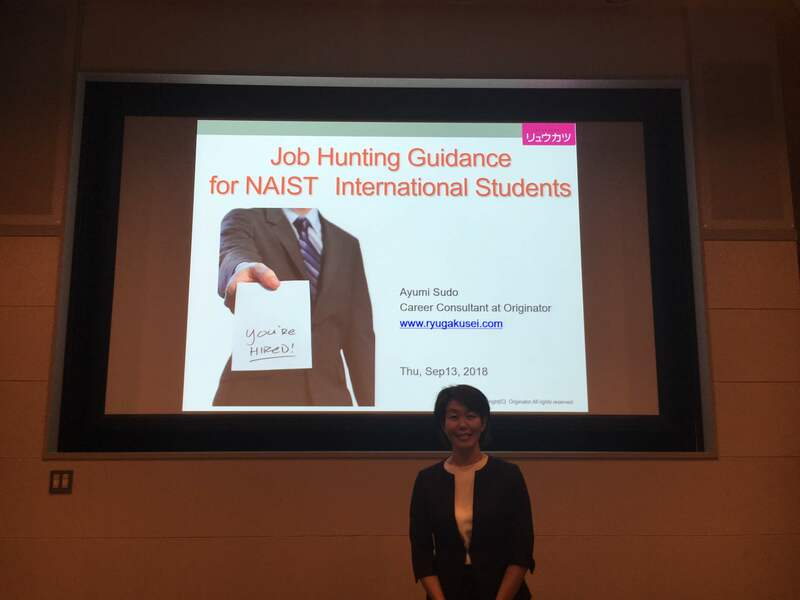 In NAIST, the Career Services Office (CSO) provides career support, and aids in job-hunting and internship opportunities. As part of the Career Development Series, the fourth seminar dedicated to “Job-hunting for International Students” was held last September. 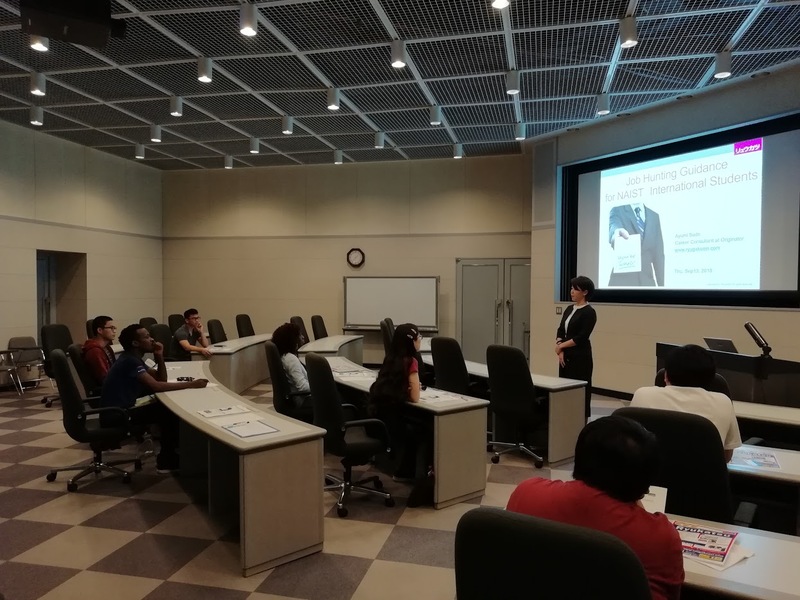 The seminar delivered by Ms. Ayumi Sudo, a career consultant at Originator, focused on three parts: (1) state of hiring of international students by Japanese companies, (2) tips for job-hunting, and (3) sharing of information about companies that recruit international students. Originator is a consulting company that caters exclusively for international students looking to land a job in Japan. Ms. Rika Ohigashi of CSO was also present to facilitate the seminar. One of the main takeaways from the seminar is that international students have higher chances of getting hired in smaller companies because these companies aim to expand overseas. Ms. Sudo provided some statistics on the job placements of international students. She also presented actual cases of the career development of some hired students. Some ended up well with the employee staying in the company while others changed careers. She also walked us through the entire job-hunting system in Japan and the different stages that students have to go through. All in all, the seminar was a productive and helpful session where the participants learned many things about when, where, and how to start looking, and hopefully, landing a job in Japan.